Global sales training and performance improvement to unleash the sales potential of your team. What makes for a top-performing seller? What drives buyers to choose one provider over another? What’s the best way to approach sales training so it leads to real behavior change and performance improvement? We at RAIN Group, a global sales training company, strive to answer these questions and more to help our clients unleash their sales potential. 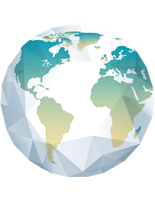 Headquartered in Boston, we have offices across the US and internationally in Bogotá, Geneva, Johannesburg, London, Mumbai, Seoul, Sydney, and Toronto. Our global footprint allows us to serve clients locally and all over the world. We’ve helped hundreds of thousands of salespeople, managers, and professionals in more than 73 countries significantly increase their sales with our sales training and sales performance improvement services. As an industry-leading sales training company, RAIN Group has been named to Selling Power’s Top 20 Sales Training Companies list for consecutive years and has won prestigious Stevie awards in the categories of Sales Training Practice of the Year and Sales Training/Coaching Program of the Year. Behavior change is our focus. Training and consulting are the vehicles. We have a complete learning system that includes assessment, program customization, and robust reinforcement to ensure that learning happens over time and drives top performance. Learn more. Complex sales have a unique set of challenges—they have long sales cycles, dollar values are high, and there are often multiple decision makers involved. We specialize in working with companies who face a complex sale. Learn more about the industries we serve. We help companies succeed in each area of the Sales Competency WheelSM. Defining the path to overall success, and architecting the system to allow the teams to achieve at their potential. Working to help each seller reach their potential on a day-to-day basis. Allowing sellers to sell effectively, and providing the tools to help them win. Penetrating, expanding, and protecting a company's most important accounts. Directing their own success, making their own plans of action, managing their own time and activities, and managing their pipelines to yield maximum business. Leading the process of winning a sale, including planning to build relationships, leading masterful conversations, and influencing buyers. Sellers must build strong relationships as they affect success at every stage of the sales process. Sellers must lead masterful conversations across the sales process and with strategic accounts. It's the job of a seller to influence buyer agendas, actions, and decisions. The ultimate recognition of creating value is winning the sale. Winning doesn’t just happen, though. Sellers have to make it happen and beat the competition. Assuming you are selected by the buyer, often you enter a negotiation phase. The idea is to maintain margin and prices by focusing on value over price. You have to communicate the full value of the solution so the buyer understands it as well as you do. You can’t sell if you don’t have opportunities. If value is the outcome, then infuse value in the prospecting process itself. Whether you or the buyer drives the need, once you understand it, you must craft a solution that actually creates the most value. With needs discovery, the idea is to find out what may be most valuable to a buyer when they indicate they have need. Most sales processes focus solely on needs discovery. That’s only half the story. Sellers should also drive need proactively. With driving need, the idea is to find untapped value in the market and at accounts, and then make a case for doing something about it that creates value for the buyer. At the center is value. When sellers can create value, they win. This is the end goal. Everything else in the wheel connects to value. We are sales thought leaders. We’re authors of the bestselling books Rainmaking Conversations and Insight Selling, we’ve spoken at conferences around the world, and we’ve been featured in leading publications including BusinessWeek, Inc, Forbes, The Globe and Mail, MSNBC, and others. Our methodologies and training programs are based on decades of experience in sales, along with RAIN Group Center for Sales Research studies including What Sales Winners Do Differently, Top Performance in Strategic Account Management, and The Top-Performing Sales Organization. RAIN Group has been named to Selling Power’s Top 20 Sales Training Companies list for consecutive years. All programs are research-based with insights from the RAIN Group Center for Sales Research and field-tested, proven to work for hundreds of thousands of sellers in more than 73 countries. 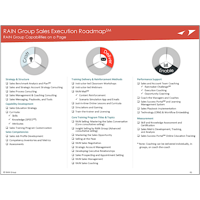 "RAIN Group helped us establish a common language and methodology for selling across our organization. Sales training now produces verifiable knowledge of our products, company values, and customer needs. The result has been more effective sales conversations, increased referrals across divisions, and deeper customer relationships." Download an overview of our services on 1 page and learn what goes into building the most effective sales force. Learn how RAIN Group helped Woodard and Curran grow strategic accounts by 110% year-over-year. Take the first step to learn how RAIN Group can help you unleash sales potential at your organization.